Amritsar tour package remains extremely popular among travelers looking for the purest form of religion. This remains the most popular Sikhism place of pilgrimage in entire world. The place attracts all kinds of travelers irrespective of their religion, faith or caste. Golden temple Amritsar is a central religious place of the Sikhs which fascinates travelers to plan Hemkund sahib tour. Find complete Anandpur sahib pilgrimage tour information here. 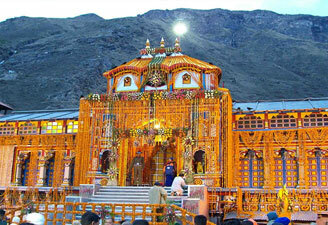 We offer all kinds of tour packages to top Sikhism places in India. From small groups to big groups, we cater to all kinds of travelers. So contact us today for bookings. Arrive Delhi. Meeting and Greeting at the airport. Transfer to Hotel. Overnight in Delhi. Morning visit to Gurudwaras – Bangla Sahib, Rakab Ganj and Sis Ganj. Also visit the city main attractions like Red Fort, India Gate, drive past President and Parliament House. Overnight in Delhi. Morning drive to Chandigarh. Upon arrival, transfer to Hotel. Later explore the famous Rock Garden, Museum & Art Gallery housing a good collection of sculptures and paintings. Overnight in Chandigarh. Morning drive to Gurudwara Parivar Vichhora and Anandpur Sahib. Anandpur Sahib – temple situated on the left bank of the river Satluj founded by the ninth Sikh Guru – Guru Teg Bahadur. On the sacred land of Anandpur Sahib Guru Gobind Singh Ji baptized Panj Pyaraas (five beloved ones) and laid the foundation of Khalsa Panth in 1699. Overnight in Anandpur Sahib. Morning visit Hadimba Devi Temple, Vasistha Hot Water Springs, Club House, Tibetan Monastery. Evening free and Overnight in Manali. 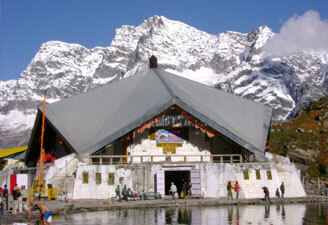 Drive to Manikaran, which is famous for its sulphur springs and Gurudwaras. On arrival, visit the Gurudwaras. Overnight in Manikaran. Morning drive to Mandi enroute visiting Kullu (50 kms / 1.30 hrs drive from Manikaran). Later proceed to Mandi (100 kms and 03 hrs drive). Overnight in Mandi. Leave for Amritsar - The 400 years old city, founded by the fourth guru of the Sikhs, Guru Ramdas, has been the seat of Sikh religion and culture from its very inception. It is renowned for the famous Golden Temple. Amritsar, literally - 'Pool of Nectar', derives its name from the holy pond around the temple. Built in the midst of the holy pool by Maharaja Ranjit Singh in 1803. It is also known as Darbar Sahib or Har Mandir Sahib. The dome of the temple is covered with an estimated 400kgs of gold leaf, hence its popular name the 'Golden Temple'. Overnight in Amritsar. Morning visit to Golden Temple. Afterthat proceed for excursion to Tarn Taran (22kms/ 45 minutes drive), famous for a gurdwara standing on the side of a large tank and built in honour of Guru Arjun Dev. Proceed to Gobindwal (22 hrs / 45 minutes drive) a short run from Tarn Taran, connected to the memory of Guru Amardas who lived there. Continue onto Hazoor Sahib (10kms), where the Samadhi (memorial) of the second Sikh guru, Guru Angad Dev Ji, was built by Maharaja Ranjit Singh in 1815. Day 12 - Amritsar - Delhi - Onward Destination. Take a train for Delhi to connect flight for onward destination. Top Travel & Tours Pvt. Ltd.